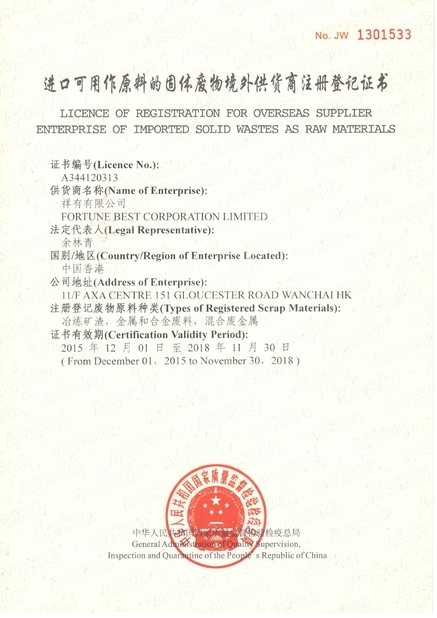 Fortune Best Corp., Ltd was established in the year 2001, having senior professionals with full of steel international trade experience of 5-28 years to provide the professional service for the customers, specialized in Import and Export all kinds of iron and steel, raw materials and equipments. With consolidated strong relationship with more than 50 lage and middle scale steel manufacturers and many small scale steel mills in China, and with widely cooperation with many large and middle scale enterprises over the world, we enjoy the markets covering Korea, Japan as well as Southeast Asia, Vietnam, USA, Europe, Middle East, South America, Turkey, Africa and other regions etc. We could help you to purchase Chinese steel products from most suitable mills, at competitive price, with good quality and with best service. We could help to introduce your iron ore, steel scrap,pig iron, billet/slab as well as steel products and equipments into China and other countries. We could also supply high quality steel materials and products at compatitive price from other countries than China. 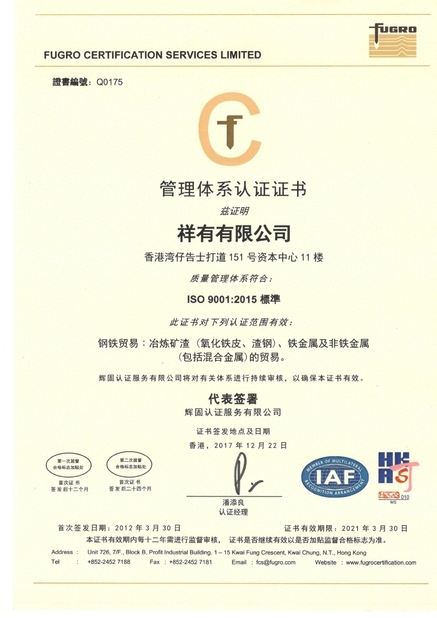 Our head-quarter sets up in the center of China mainland, we know well about how to manage all good Chinese mills. We've built up good relations with many big and middle-scale mills such as WISCO, Capital Steel(Shougang), Ansteel, Baosteel, Maanshan, Baotou, Shagang, Tisco, Nanjing, Xinyu, Hanye, Lianyuan, Xiangtan, Jiuquan, Jinan, Laiwu, Panzhihua, Beitai, Liuzhou, Kunming, Nanchang(Changli), Xingtai, Shaoguan, Pingxiang, Zhujiang, Ningbo Steel, CPIT(Daye, Xingcheng and Shijiazhuang) etc as well as many middle or small scale mills throughout the past years of connection and/or successful cooperation. 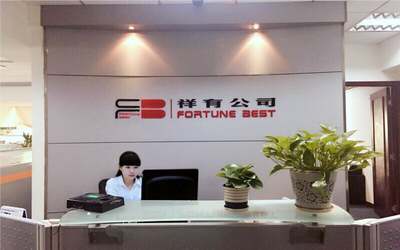 Fortune Best Corp., Ltd was established in the year 2001, having senior professionals with full of steel international trade experience of 5- 28 years to provide the professional service for the customers, specialized in Import and Export all kinds of iron and steel, raw materials and equipments. 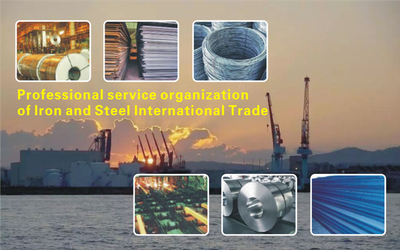 -Sole agency for export of steel products of Lianyuan steel to in Vietnam market for 5 years. -Sole agency of Esteel to Korea for 5 years. 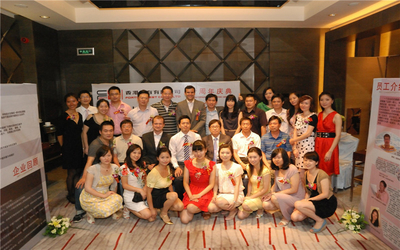 -First and earliest buyers of Nanjing steel of all export business. -Biggest buyer of Lianyuan steel for 2 years. -Biggest buyers of WISCO for 5 years with 38% share of all WISCO export quantity. -One of Biggest buyers of Baotou steel for over 13 years. -Supplied over 1 million MT of steel to Seah Steel. We could also supply high quality steel materials and products at competitive price from other countries than China. Overseas market covers Korea(Seah, Hysco, Samsung Construction), Japan(JFE),Bangladesh, Philippines,Vietnam(HOA SEN ,CITICOM), USA(Mauser ), Canada, Mexico, Europe(EMW, Carl Speater) , Turkey(Borusan mannesman), Indonesia, South Arica, South America,Middle East(SAIPA) , and other regions etc. 1. 24 hours on line and prompt reply. 3. Flexible payment term with L/C at sight,TT ,ect. 4. Big quantity stock and short delivery time. We have 21 experienced employees. 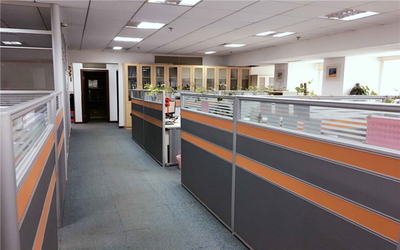 Among those, some are professional staffs who have worked in the international steel field for over 20 years. With excellent team-work, we know well about how to handle iron and steel international business with professional service which has brought our continuous business growth and our customer's satisfaction from the beginning.